In the process of moving from Oregon (Nw USA) to Manchester in the UK. Shipping container with all our possessions was opened when it arrived in the UK and they found this. 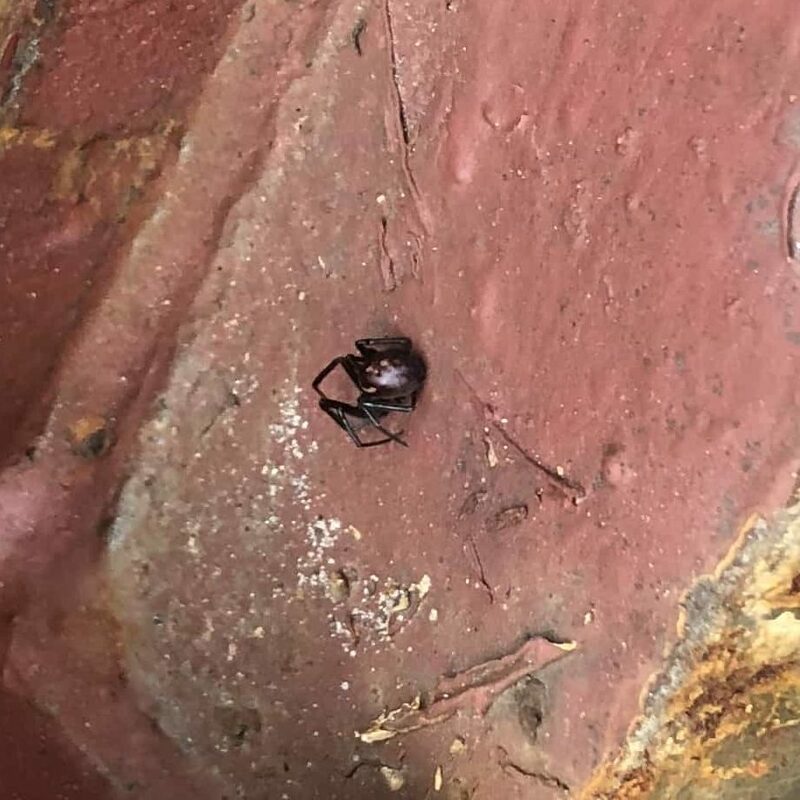 Moving company think its a black widow. Thoughts? 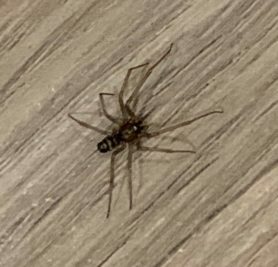 It could be, although it looks like it could be a false widow. 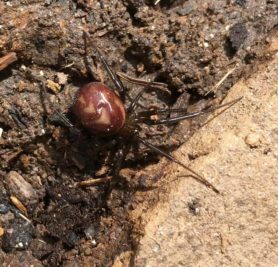 I agree that it may be a false widow, Steatoda grossa. 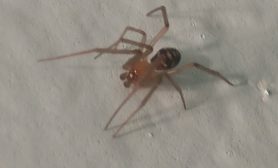 They have multiple dimples on the brown abdomen and a gold arc in the “shoulder” area. These kill black widows. 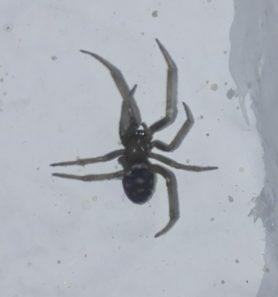 I don’t think it is a black widow, the markings are much more like the false widow.